Discover the magic of this special city full of tradition and history. It’s no secret that the capital of Andalusia is fun, folklore and flamenco in its purest form. The second most-visited Spanish city captivates its visitors with its ubiquitous magic and charm, and has highlights during Semana Santa and the April Fair. Seville has the biggest old quarter in Spain which makes the city centre an authentic open-air museum. Its cathedral and Royal Alcazar Gardens are UNESCO World Heritage Sites, with the Alcázar being the oldest active royal palace in Europe. If you’re looking for an authentic Sevillian experience, you have to take a horse-drawn carriage ride along the banks of the Guadalquivir, visit the Macarena Basilica, Spain’s most famous holy virgin, and drink a glass of wine with a view of the Giralda. Take a stroll through Triana, Santa Cruz or any old town and soak up the Sevillian art. Its splendour will leave you speechless. In Seville everything is a cause for celebration, commemorated by eating and dancing. You’re always guaranteed an excellent night out! Start with churros and chocolate for breakfast, a pulguita de pringá mid-morning (slow-cooked pulled roast beef, pork or chorizo), and keep going until night falls and it’s time for a rebujito (white wine and sparkling lemonade). If you’re looking for a truly special venue, the Rinconcillo is Spain’s oldest bar, established in 1670. 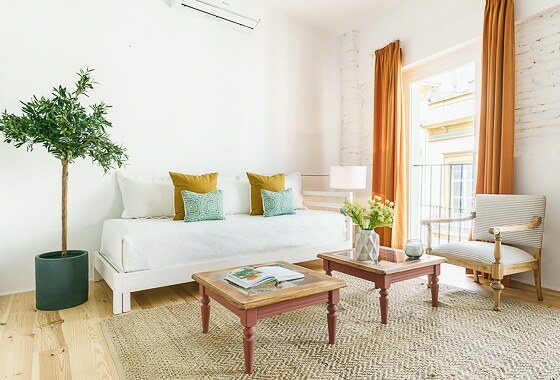 Amongst all the tradition there is a cosmopolitan and chic side to Seville, a city with the innovative Setas de Metropol Parasol Plaza and creative restaurants that line the streets of the Alameda neighbourhood. 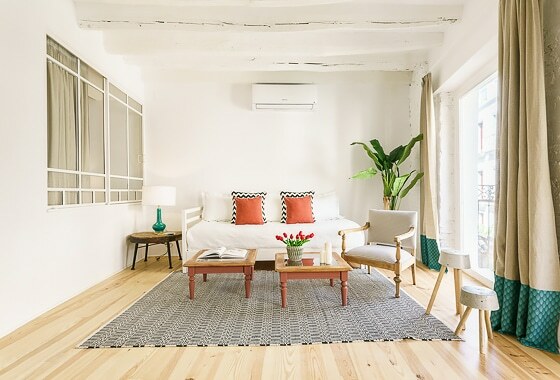 A Seville where you can visit a fashion exhibit at the Andalusian Centre of Modern Art, drink micheladas (a Mexican drink made from beer, lemon, salt and a mix of salsas) in Mano de Santo, or meander through the über-creative cultural space Caótica .